For over a decade, Vertical Construction has earned an excellent reputation for high quality craftsmanship and skill in carpentry. We specialize in unique and complicated stair projects, such as curved rails that require complex geometry, pitch variations that require the rail profile to be carved out of a solid blocks of wood, and other complex stair designs. This requires immense craftsman skills and thorough knowledge of individual wood qualities and behaviors. One of our specialties is designing and building custom staircases and handrailings to fit your personal style preference as well as the style of your home. Vertical Construction is also a licensed General Contracting company and highly skilled carpentry specialists. We can take care of any project from basement finish to full home remodel. We focus on providing quality material and craftsmanship, paying close attention to detail on every aspect of your remodel. Our main goal is to provide clients with high quality, beautiful, and functional spaces that they will enjoy for years to come. General Contractor doing any type of remodel/building project. From Shipping container homes on up to large scale projects, willing to travel to your state for your creations of your dreams. Please see website at Davis-customs.com, I specialize in too much custom fabrication to list. Our primary goal is to exceed every customer's expectations with our attention to detail, superior craftsmanship and professionalism. A portion of all revenues is donated to charitable organizations. We pride ourselves on our ability to amaze each of our clients. You will be thrilled with the finished product that you receive but what truly sets Tree of Life Stairs apart from other stair companies is our commitment to giving back to our community. Tree of Life Stairs gives a percentage of all money earned to go towards helping non profit organizations in our community and around the world. This part of our mission is why Tree of Life Stairs is named as it is. We want to be able to support those that are in need, to give life to our community, and ultimately to the rest of the world. You will feel good about making the decision to choose Tree of Life Stairs to do your staircase, knowing that you will get an amazing staircase at a competitive price, and be helping those in need at the same time. Old Market Forge is an industrial design fabrication shop that specializes in custom metal and wood work. Located in Longmont, Colorado, we do custom, made-to-order railings and furniture, including coffee tables, kitchen tables, and benches. While our specialty includes, custom railings and handrails, we also work with any type of wood, from local Rocky Mountain Beetle kill Pine to exotic hardwoods. We design, build, and install features that are rustic, unique, and precise. Whether building a new home or redesigning a commercial space, Old Market Forge can help with initial design, metal fabrication, wood fabrication, and on-site work. Old Market Forge has been in the building trades for over a decade and we’re accustomed to working with general contractors, architects, designers, subcontractors, and homeowners. We establish the details of the project before we start so we’re all on the same page and we constantly keep you updated and always ask questions when there’s uncertainty. We can follow blueprints, we can draw up our own, or we can wing it and design/build on the fly. We communicate timelines and coordinate schedules to make sure our work fits in seamlessly with your other subcontractors. We’re also accustomed to changes, we make every effort possible to make revisions throughout the project. We understand that as a complex project unfolds, there are often better ideas that are revealed through the process of creating. ABOUT THE OWNER Garrett Aulabaugh has always been a maker. His passion for metal and wood work stems from high school when he took his first welding class. Twenty-five years later, his passion has become a profession. Garrett lives in Longmont, Colorado and works throughout Boulder County. Modern craftsman is a team of artisans with a passion for designing and creating custom woodwork, metalwork and glass components. Our artistic talent and years of experience working with wood, metal and glass have paved the way for us to rise as a nationally known stair builder. WHY STAIRS? Simply put, we love a good challenge! Artistic demands, building codes, geometric complexity and integrating various materials are what make each stair project exceptionally challenging. It requires us to put our engineering, art and construction caps on all at once and we love it! 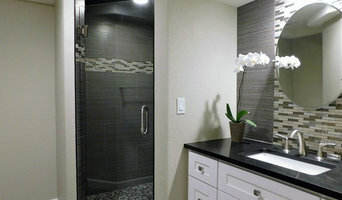 Innovative Renovations, LLC, is a family owned company, serving the Denver area and surroundings. We specialize in decorative steel work. Making unique design features for your home. Our main focus is steel stairs, rails, awnings, etc. However, if you can imagine the work, we can design it for your home needs. Our Renovations are to meet and exceed clients standards and specifications. Allow Innovative Renovations, to make your dream home a reality, give us a call today! Beautiful, Steel Solutions. We believe in the beauty of simple and the power of steel. Whether we are building for a business or a home, the possibilities are endless. From custom surfaces to craftsman furniture to architectural steel, we have a solution. Craftsmen with over 40 years experience EACH! Architectural metal fabrication and design. 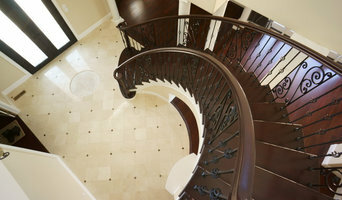 Specializing in cable railings, staircases and custom doors. If you can imagine it, we can build it. Commercial speciality is the relocation of RTU's and structural steel. Stair Handrail updates. We replace home builder quality star railings. 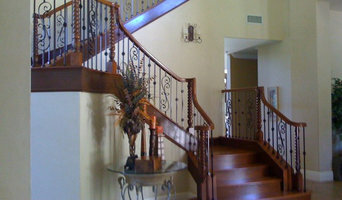 Metal and wood balusters. 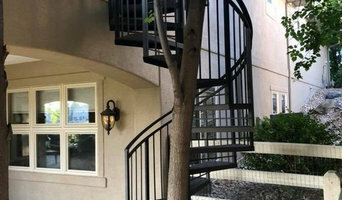 Stair Design is a team of craftsman in the Denver area who specialize in remodeling dated staircases with hardwood treads and modern metal railings. Custom Metal Fabrication and More We are a metal fabrication and design company located in Broomfield, Colorado. Run by Ari Surprenant, this company boasts over 11 years of experience working with metal. We Specialize in providing beautiful custom residential fabrications. Some of our previous work include decorative hand rails, tables, bookshelves to even light fixtures. If you can dream it, we can build it. 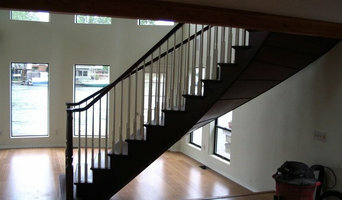 I build custom one-of-a-kind log and timber spiral stairs.